There are plenty of ways to explore Gothenburg. Ride along with “Paddan“ on a classic tour under historical bridges through the city channels, get a glimpse back in time with the sightseeing buss along the city streets or book your own guide. 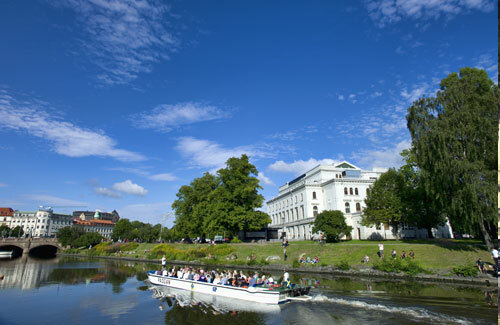 There are also many other ways to discover Gothenburg. During a joyful walk around the city with an actor as your guide, historical facts are mixed with convincing drama in a funny and sometimes moving way. Archipelago boats, along with the canal boats, gives an opportunity to explore the beauty of Gothenburg from the water. Learn about the era of the East India Company through the shipyard industry to the modern IT era or just sit back and enjoy the view. The vintage trams, the oldest around 100 years, makes round-trip on parts of the longest network in Scandinavia.  Enjoy cuisine from all over the world at reasonable prices. Innovative and traditional kitchens lie side by side with hip food trucks and gourmet restaurants. 2017 seven restaurants with one star in the Guide Micheline and several listed in the Swedish White Guide. Gothenburg has an almost religious relationship with the fruits of the sea. 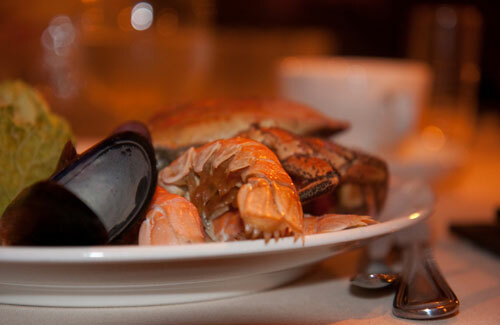 Prawns, lobster and a wide selection of fish are ranked amongst the finest in the world. Since 1910, daily catches are unloaded at the Fish Auction Hall and guided tours are available in the early morning hours. At the Feskekôrka “Fish Church” market visitors can easily grab a bite to eat. Swedish nature can also be enjoyed in the middle of the city. Gothenburg has a stunning 175 square metres of green space per citizen and leafy parks like the Garden Society (Trädgårdsföreningen) and the Botanical Garden. The parks are a popular choice among connoisseurs with green fingers, as well as anyone just wanting to go for a walk in the open air. 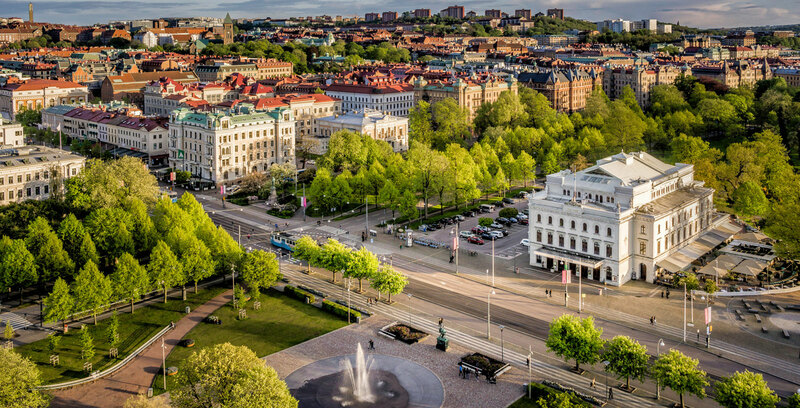 The compact city centre makes it easy to walk from the green groves of Slottsskogen to the Botanical Garden’s flower beds or drop by the Garden Society of Gothenburg. 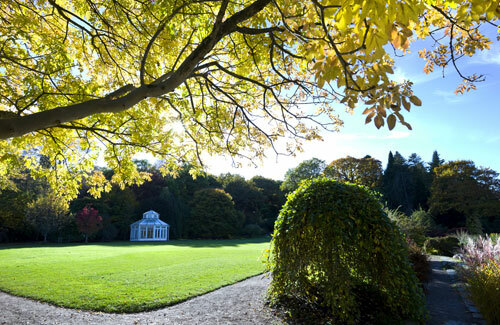 The Garden Society of Gothenburg is one of the best preserved 19th-century parks in Europe. Here you can find thousands of roses, carpet beddings and lush woodlands. 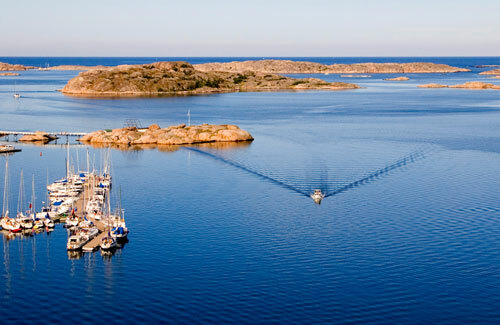 The archipelago of Gothenburg stretches along the coast like a string of pearls. You don’t have to travel far from the city to find charming villages, stunning nature and beaches. Seal safaris, sea-fishing and boat excursions are just some of the activities available here. No cars are allowed in the southern part of the archipelago which makes this the perfect destination for long walks and bike rides. You travel on the same ticket the whole way from the city, including the ferry from Saltholmen. The northern part of the archipelago is accessed by a car ferry from Lilla Varholmen at Hisingen and you can bring your car to most islands. There are many well-known places to visit in West Sweden, and even more, you’ve not heard of yet, to discover. This link will take you to the official tourist guide for West Sweden where you will find tips for the best-hidden places of interest. 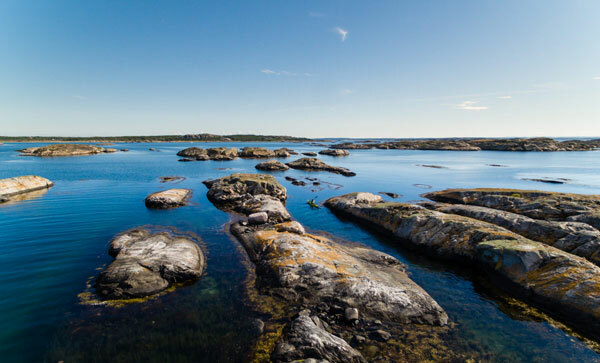 West Sweden is made up of the main areas Bohuslän, Dalsland & Västergötland and the city of Gothenburg is the main city & the second largest city in Sweden.